Who remembers the orgone accumulator today? Perhaps people of a certain age with an interest in curious objects do. But their numbers must be dwindling. Surely many more of us can recall a story, which has become literary myth, of the frenzied writing – fuelled by caffeine and Benzedrine – of a road novel over a period of three weeks on a 120-foot scroll of paper. 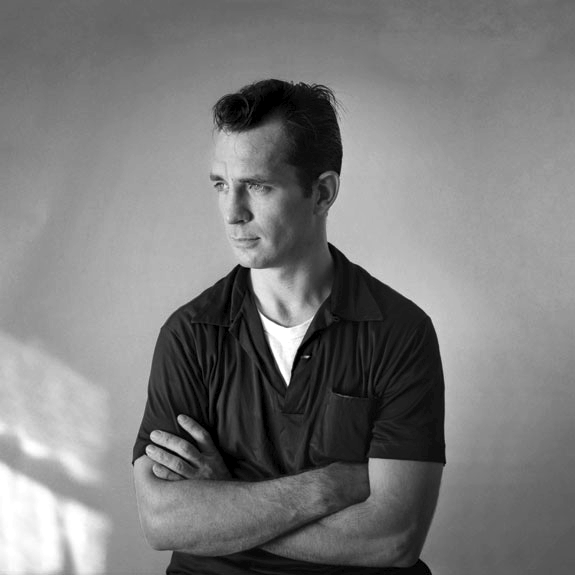 A book which would – though its author Jack Kerouac didn’t appreciate the media attention that followed its publication – exert a wide-ranging influence on a generation, embedding its DNA in the culture, literature and ways of living of the decades that followed. This book, On the Road, which would introduce us to bop gurus, orgone accumulators, wine-spodiodi and the unforgettable pair of Sal Paradise and Dean Moriarty, driving battered automobiles across the length and breadth of America, stands out as a testament to a lifestyle and a way of experiencing reality and creating literature, that rebelled against the establishment and social order. 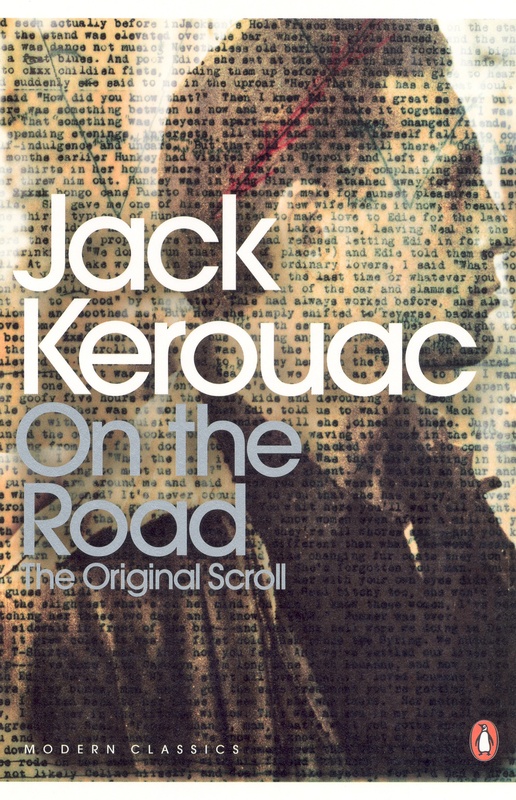 Kerouac’s book is an important landmark in a tradition of what we may call road novels or novels about journeys. It is a form of writing that travels back in time at least to Voltaire’s Candide. Over the centuries, this literature of motion, often laden with adventure, discovery, forbearance, fantasy, hilarity or despair, has established great works of the imagination along its meanderings. So we have the journey from Mark Twain’s TheAdventures of Huckleberry Finn to John Steinbeck’s The Grapes of Wrath, via Kerouac’s 1957 novel, arriving in our times in a variety of avatars, which span two post-apocalyptic masterpieces by Cormac McCarthy (The Road) and Doris Lessing (Mara And Dann – An Adventure) as well as the journeys through the back roads, motels and small towns of America. Of course, this hasty summary bypasses memorable works like Robert M Pirsig’s cult classic Zen and the Art of Motorcycle Maintenance, a book I stowed in the saddlebag of an Enfield whenever venturing out of town, or Sinclair Lewis’ Free Air, to name only two. Still, wherever it may take us, we’re taking our own road trip here with literature, to examine how the road novel has, from being the fiction of individual quests and journeys, matured into a literature which engages with Nature and what Amitav Ghosh would call the “uncanny” aspect of natural disaster. On the Road and the two other books (McCarthy’s and Lessin’s) we have picked for this idiosyncratic hike across a sprawling literary landscape have, to begin with, one obvious similarity. They are all about journeys. Kerouac’s breathless novel is the partly autobiographical story of the travels of struggling writer Sal Paradise, Dean Moriarty, their friends, wives and lovers, by automobile or bus across post-war United States and finally down to Mexico. There have been quite a few books and many essays written about the road novel, which is often portrayed as a very American form of writing. 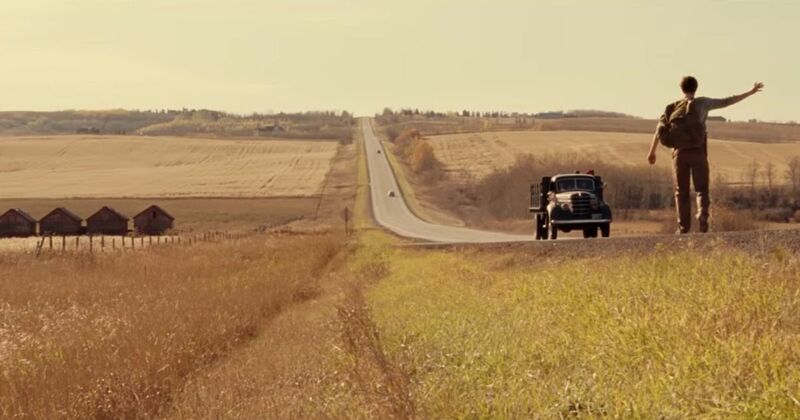 This is perhaps because of the extensive road network of the United States and the interconnections between “independence”, the American dream (or disillusionment), and the automobile. Many such narratives of the road begin with alienated or disillusioned characters setting out on a journey, sometimes for philosophical certitude, increasingly for survival, often seeking to discover a connect with nature. So, in Kerouac’s book, Sal Paradise sets off on the road soon after his divorce and a bout of illness. First there are those words. Beat, pure, dig, gone, girls, bop, time and a few more that recur with amazing frequency in Kerouac’s highly influential novel which, alongside Allen Ginsberg’s poem Howl and William S Burroughs’s Naked Lunch drew the contours of what would be labelled the Beat movement, with their followers being known as the Beat Generation. This was essentially a literary-cultural upheaval that would leave its stamp on Bob Dylan, draw followers among many writers and poets, and inspire a way of living and engaging with the world which resonated with the hippies, who, in turn through their naturalism and organic lifestyles, would stamp their mark on the environmental movements of our time. “The whole mad swirl of everything that was to come began then; it would mix up all my friends and all I had left of my family in a big dust cloud over the American Night. Though mostly upbeat and full of energy, this counterpoint of sorrow steals it way into the book, weaving around its characters a spider web of joy and woe, right through to the end when Dean is leaving New York and is refused a lift in a friend’s car in which Sal and his girlfriend Laura are travelling to a concert. Women as lovers, wives, co-travellers, party girls or fille de joie are present all through the book, but they are never painted as important characters. As we look back and reread the beat classics and delve into their history, there is this disconcerting feeling that their “girls’, even those close to the Beat inner circle, were side-shows, and were somehow excluded and often manipulated to take part in the adventures. They were more like the froth on the beer mugs that the Beat intellectual guzzled to fuel his quest to give birth to an alternative culture which married decadence and rough living with a Blakeian quest to hold “eternity in an hour”. This sidelining of women by Beat intellectuals has drawn the charge of misogyny, but a close reading of certain accounts by women, like Lu Anne Henderson’s (Dean’s wife Mary-Lou in On the Road) does point out that she knew what she was doing and was responsible for her actions. The story moves back and forth across America, with Sal and Dean cruising sometimes in a Hudson, sometimes in a rickety Ford, and sometimes in a battered Cadillac, through all sorts of adventures, including run-ins with the police, Sal’s life as a cotton-picker and their meeting with Old Bull Lee, who is modelled on Beat guru and Naked Lunchauthor William S Burroughs. Both Dean and Sal are characters in a new picaresque tradition that flourished in the fertile bed of post-war American road literature. The picaresque aspect of Sal’s narrative and how he also represents a distinctively American “Anyman” have been addressed in Rowland A Sherrill’s scholarly Road-Book, America as well as in Karel Cappelle’s excellent work on the “new American picaresque”. One question that crosses our minds is: What were the Beats trying to tell us? As a cultural movement, what is the message, if any, to be distilled from this breathless rush of beautiful prose in Kerouac, the drug-laced general depravity in Naked Lunch, or the declamatory style of Ginsberg’s Howl? At first glance we can see that these texts are talking with one another in their parallel quests to tease out some invisible element of experience that is hard-earned, that is charmed out with difficulty from the intransigent matter of lives. An invisible element, a fount or a mantra which energised a generation of followers. To try to locate the foundations of their quest and to point at the hidden centre, which was its object and from which perhaps they all drew, we have to look at the characters of Dean and Damion. Kerouac writes, “Damion is the hero of my New York gang, as Dean is the chief hero of the Western.” Dean’s life was the Beat way in practice while Damion, Lucien Carr in real life, was their chief aesthete – the one who engaged with the philosophical underpinnings of their quest. The world has changed a great deal since the writing of On the Road. The fellahin peoples of the world – think of India and China – if not pushing at the doors of history, have surely joined the bandwagon of economic growth led progress, trying to lead from the front. Hardly anyone remembers the orgone accumulator today, and its supposed capacity to trap and radiate the esoteric orgone energy is all but forgotten. This box-like device, an artefact of pseudo-science, that Dean and Sal finds in Old Bull Lee’s yard has little use now. The damaging impact of Benzedrine on health is much better understood today, but the experiments with consciousness-altering substances for creativity or fun continue. The petrol-guzzling automobile – trusted companion of Beat journeys, is slowly losing favour (at least among the environmentally conscious) in this age of worsening climate change. And the Aids scare has curtailed the free love that went well with the Beat way of experiencing reality. But this is not to say that the Beat ethos is dead. The wellspring that was Kerouac’s novel and the generation of followers that it inspired still whisper at us. We can hear their voice at the heart of movements against regimentation and order, in every call to arms against conformity or elitism in art, in the playful yet busy pages of postmodern fiction. The spirit of the Beats – in their cruddy tees, or bare-chested like their real-life hero Cassady, rushing past in their rickety jalopies, digging hard for authentic experiences, whispering at us through a marijuana haze, trying to convince us that they knew “what IT is”, that they knew “TIME” and that “everything is really FINE” – lives on. Rajat Chaudhuri is a Charles Wallace Trust, Korean Arts Council-InKo and Hawthornden Castle fellow. The Butterfly Effect, his fourth work of fiction, will be published in 2018.